New Grid Stacks, Quick Search Filter, Multi-Monitor Profiles and much more! 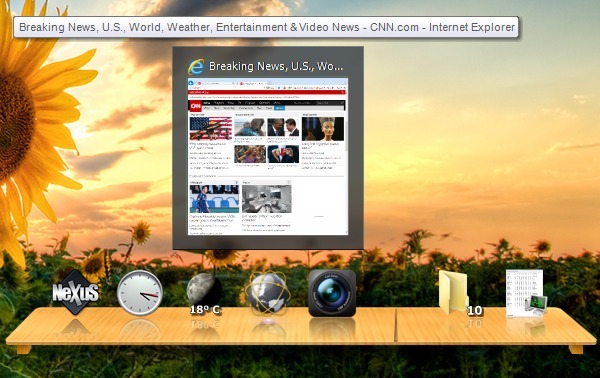 The Winstep Nexus dock is a free dock for Windows. 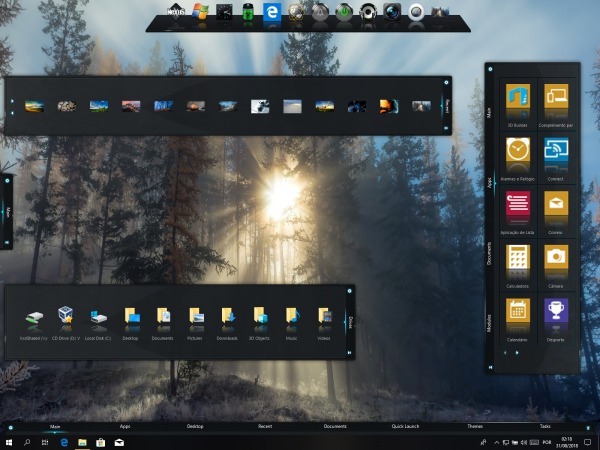 Nexus has everything you’d expect from a dock, including widgets, skins, drag-and-drop support, plus many others exclusive to it such as live icon reflections, over 30 different mouse-over effects, in-dock system tray, built-in support for animated icons, full Windows 10 UWP app support, multi-monitor and high DPI support and much more. 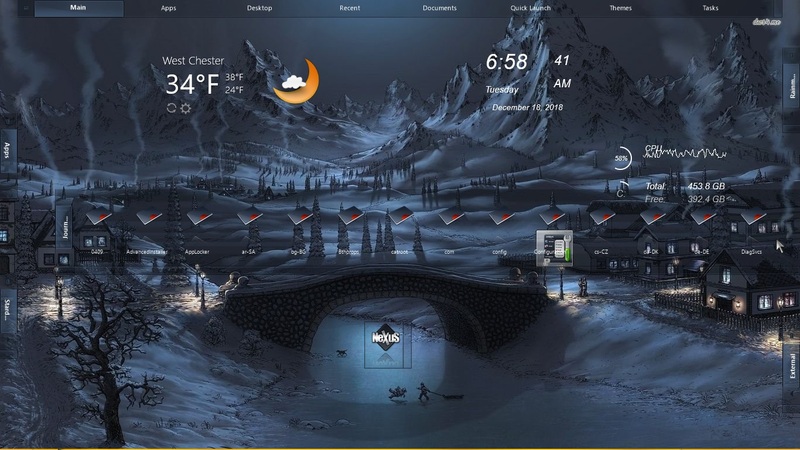 Completely customizable, with thousands of different backgrounds freely available online, Nexus is fully compatible with skins for all 3rd party docks. Nexus Ultimate is the commercial version of the free Nexus dock, adding support for multiple docks, categorized sub-docks, multiple tabbed docks (Shelves), Grid Stacks, Drawers (dock + single tabbed Shelf hybrid) plus even more widgets and cool looking mouseover effects. Unlimited number of Shelves (tabbed docks) and Drawers. Got the update this morning. Only one problem. When I right click on a folder in a drawer, see screenie, there's no option to create a grid stack. I can insert one but not create one. Hard to figure out from the screenshot: what is the type of that particular Drawer? Regular, Folder? EDIT: Never mind, it's obviously Regular type. Can you post a screenshot of that folder's Drawer Entry Properties dialog, please? Nice video! It has that "next-gen" feel that mostly disappeared around 2012 when Microsoft introduced Windows 8 and everything became flat and lifeless. Ok, there is something weird about that entry. How did you add it to the Drawer? Is it pointing to a shortcut to a folder instead of directly to the folder? Try changing its type from 'Program' to 'Folder' to see what happens. Ok, imagine this: you have a laptop which your normally take with you on the road, but when at home you plug it into an external monitor. When at home, you use your laptop with a unique Shelf on both monitors. 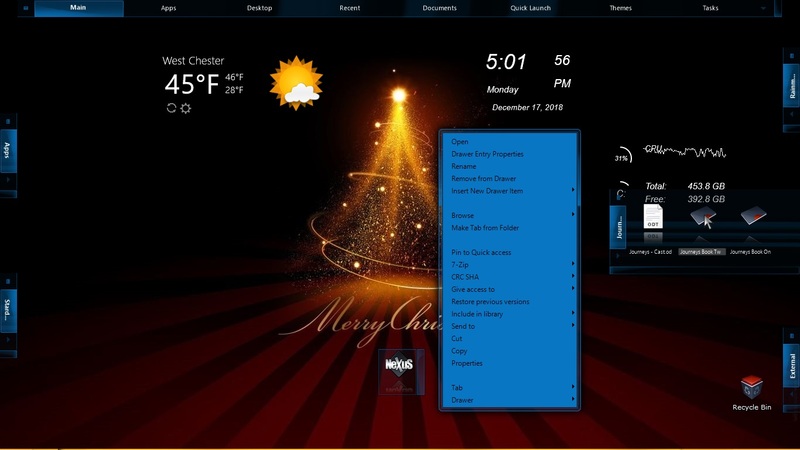 In addition, you use NextStart's Reserve Screen Space feature on each monitor. 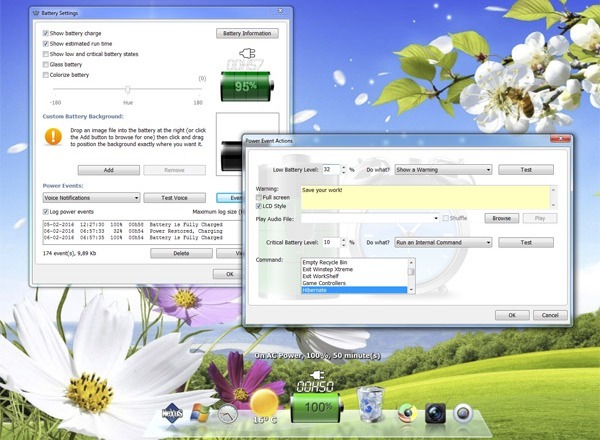 Previously, when using the laptop as a standalone device, either on the road or at home with the external monitor turned off, both shelves would pop up on the laptop's screen (WorkShelf always makes sure all the objects are visible and can be accessed, so when you turn off the secondary monitor the second Shelf in the now turned off secondary monitor gets moved to the primary laptop screen, overlapping the first Shelf in it). 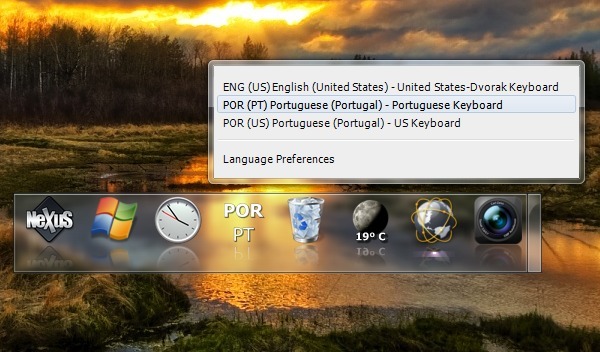 In addition, NextSTART reserve screen space settings would be lost. 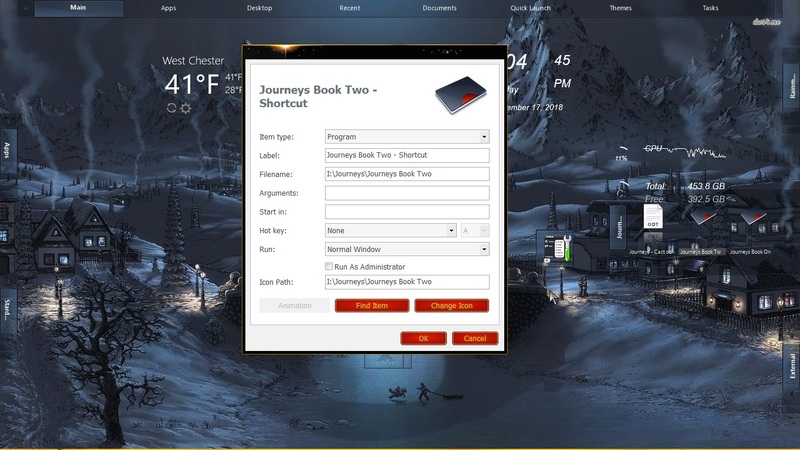 When reconnecting the external monitor, even by simply turning the external back on, you would thus have to reestablish Shelf locations and reenter NextSTART Reserve Screen Space settings. A real PITA. 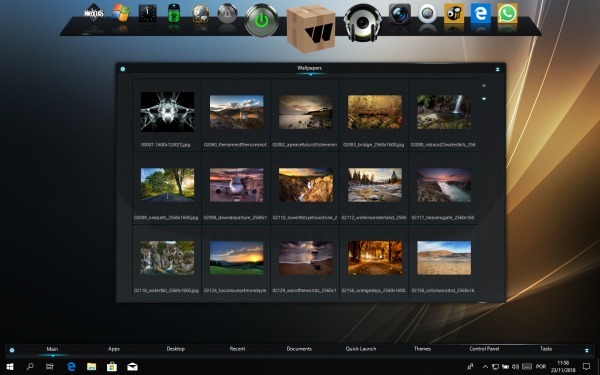 Now the Winstep application automatically remembers where Shelves, etc, are for each different monitor configuration, as well as NextSTART reserved screen areas. In addition, you can have certain Shelves/Docks/etc enabled when in multi monitor configuration but disabled when in single monitor configuration. And the best part about this is that it's all automatic. 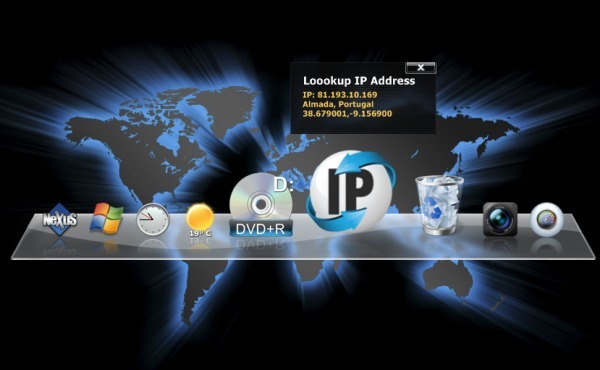 All you need to do is set up your environment once for each of the different monitor configurations. I was able to insert a new dock item aka grid stack. Cursor is pointing to a shortcut not the actual folder. I was able to do it when it was upgraded to ver. 18.11 but after doing a clean install of Win 10 1809 and re-installing Xtreme it stopped working. Don't know what happened. I'll try and get back to ya. Right clicked on the folder shortcut and changed the draw label/tab to folder and the grid stack showed up and mousing over it it says grid stack folder. I opened it and got a bunch of folders from somewhere. Deleted that grid stack and right clicked on the draw proper and changed that to folder. It deleted the shortcuts in the draw and see the screenie. Since updating yesterday Windows Defender is detecting what its' calling Trojan:Win32/Emali.A!cl and says winsetep.exe is an affected item....? False positive most likely. Didn't do that to me. Agreed; I told WD to ignore it, but I thought I'd mention it in case it was happening to others. Defender didn't fine any problem here. Thanks, already aware of it, already submitted a report to Microsoft, now we need to wait. I think the issue is not so much the executable itself (it appears as 'clean' in both the cloud and client definitions of Windows Defender) but related to the Fast Boot option in Winstep software used to bypass Windows 10 deliberately delaying the startup of 3rd party applications by several seconds to make Windows itself appear to boot faster. 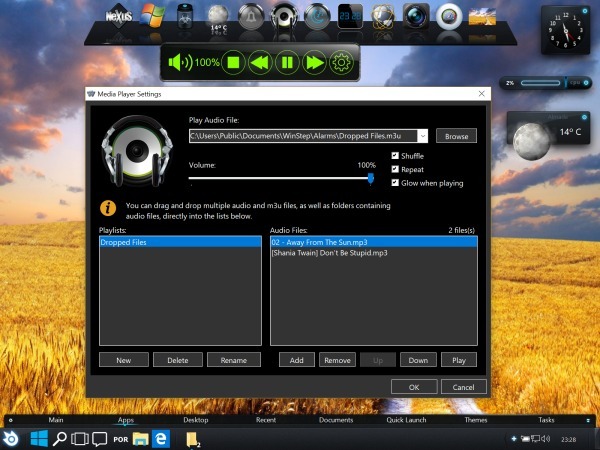 The method used by the Winstep application to achieve this is a mechanism in Windows intended for other purposes. This is one of the reasons Fast Boot is disabled by default and the user must turn it on explicitly (the other being that if everyone started doing this we would soon be back to square one). I strongly believe it's the user who owns his computer, not Microsoft, and that therefore it's the user - not Microsoft, nor the application makers - that should decide what runs first and what not. EDIT: There is a bit more detailed explanation HERE. We have removed the detection. Please follow the steps below to clear cached detection and obtain the latest malware definitions. Thank you for contacting Microsoft. What really gets on my nerves is that we were all running the betas for nearly two months and not a peep from Windows Defender. But as soon as v18.12 is officially released... BAM. The Disable final boing effect setting in Dock Properties -> Behavior tab -> Auto-Hide Settings is not doing anything. Instead you must use the same setting in the Sub-Docks dialog in the same tab (assuming you are running Nexus Ultimate or Winstep Xtreme). Christmas sale! Nexus Ultimate is now 40% off at the Winstep web site. 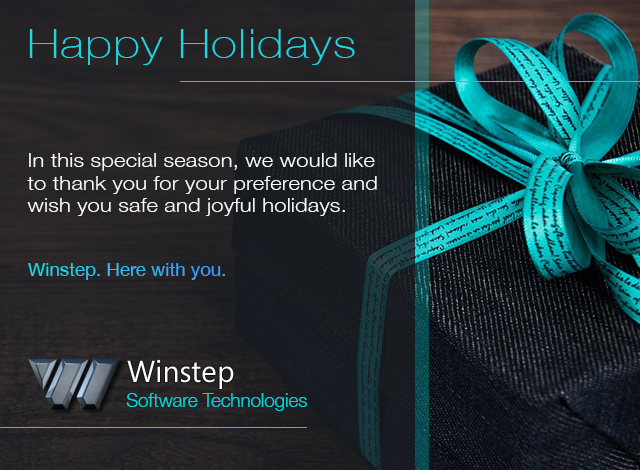 I also Want to thank you for Winstep Xtreme and the many great features and innovations it brings. 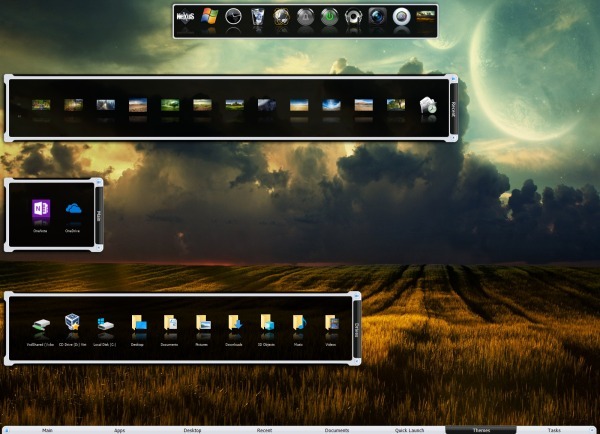 Along with Stardock's offereings, it is the best customisation software on the planet. So glad I'm a subscriber. One feature I like is that you can take a see through theme and make it even more see through. Thanks Jorge for all the toys. Thanks, Uvah! Always a pleasure to put more toys on the table. 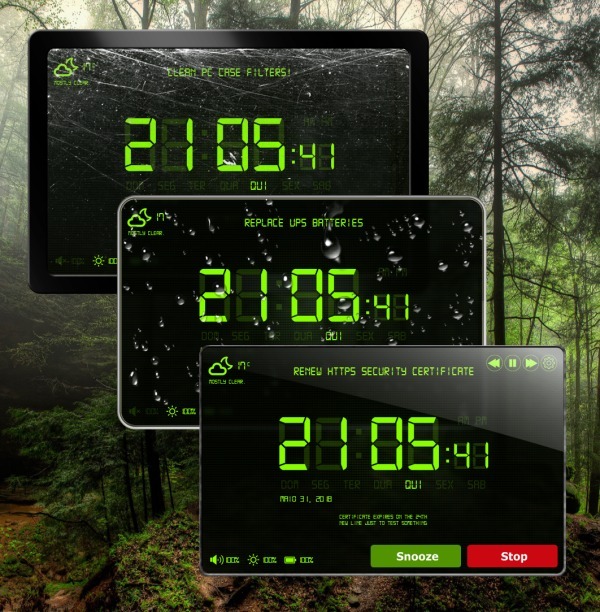 Winstep Xtreme 50% off for the next 24 hours.